This has always been a tough question for me to give a committed respond to. Ice, Steel, and Dragon all deserve mentions, but I'll ultimately hand the chalice to Ground. I know few Ground type lovers, and I've always pondered why. It's not my favorite, but it's offensive presence is huge and the Pokemon can range from cute, like Trapinch and Numel, to awesome like Groudon and Mamoswine! It's a very cool type. Truthfully, it's a lot of simple things that culminates it into my favorite. Their design is broad, yet definable. Earthquake is probably my favorite move in the franchise. Their role as a tanky powerhouse is fun to go berserk with. And of course, ol' Mamoswine is Ground type. Ground would be followed by Grass. Grass has always been put out to pasture, though Grass is a powerful type when played well. For example: Grass/Fairy is a subtle combo! Whimsicott is perceived as weak, yet when you look at the stats it can be very well played. Considering how closely nature and fairies are related. Florges should have been Grass/Fairy. 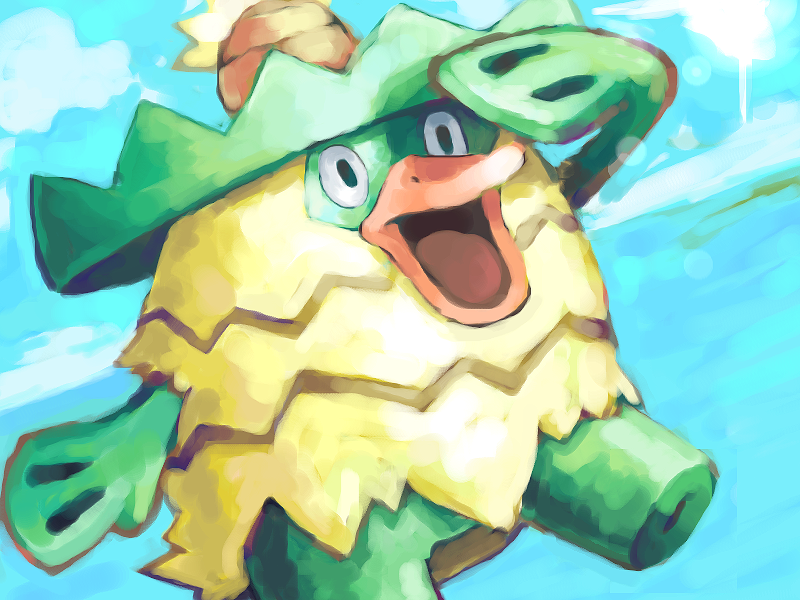 I like Ludicolo. Still wen you compare Ludicolo to mons like Shiftry you can tell he got the short end of the stick when it comes to movepools, but it more than makes up for it with a good defensive typing, far better niche in weather with Swift Swim, and ability to wall common Water type threats. I'm a huge fan of this cheerful Pokemon and still one since Ruby and Sapphire. I just can't help but to dance when it listens to music, wears a leaf sombrero and is often depicted carrying maracas and having one heck of a good time. One of the more interesting things about Ludicolo is its unique typing, which negates several of the weaknesses that pure Water and pure Grass Pokémon have. Nothing makes me happier than using Rain Dish Rain Dance. What a great combination. Plus who can resist the charisma of a giant dacing Mexican pineapple duck. Or is it supposed to be a platypus? I don't know. Ludicolo is awesome exactly because it's so strange which all just adds up to Ludicolo being my favorite mon. It has been amazing going through the games and seeing them grow into the phenomenon that it is today. I don't know what it is about Pokémon, okay, I will take that back. I know what it is about Pokémon that keeps me coming back for more. I collect Pokémon cards, and I play because it holds a special place in my heart, it is that safe place I go from my childhood. There are a lot of other TCGs out that you could collect instead. But, games like Magic and Yu-Gi-Oh! just seem so generic for me. Nor do the creatures do not mean anything to me. They're less colorful, imaginative, and charming than Pokémon. I like how smooth and quickly Pokémon flows. I like how much access to your deck you have because of all the draw and search. I like how deck composition decisions play out so quickly in terms of performance. I like the basic mechanic of it being a battle between active Pokémon with a little bit of interaction from the bench. It's simple enough that 10 year old me could pick it up and play a competitive game and yet it is deep enough for me to spend hours a day acting as a strategist now as an adult. There is far more decision making than one would be led to believe if you only looked at it in the context of a "kid's game." There are a lot of different ways/tactics to play which keeps it interesting. And now it is an activity Bae and I can enjoy as a couple. I tried playing competitively, but ultimately got frustrated with it because of things like turbo Flareon/Empoleon, Toad, the coming Vileplume, Toad, LaserBank, Toad, the coming Giratina, Toad, crushing/enhanced hammers, Toad, etc. I just walked away frustrated whenever I tried playing seriously. I started playing rogue decks and it's fun because people are so focused on the meta that they don't expect rogue decks. One thing that bothers me, and I'm sure that this is the same in other card games as well, is the insane amount of hype cards get while others are hated for no good reason. Why did you start with Pokémon, and why do you stick with it? Why physical cards instead of the online TCG? I like online and the TCG. Which I like most goes up and down. Online is so smooth with the setup and shuffling done automatically. But there is a wonderful tactile quality about drawing cards, about physically a Pokémon into the active, about revealing the card that will mess up your opponent. And it's just fun to be physically opposite someone. This is a tough one, I'd probably go with Hibari over Mukuro, just because of how adept he is at battle in general. Mukuro and Hibari are both some of the most powerful guardians under Tsuna. And while I picked Hibari there's not much reason as to why I'd say this, I just think he'd win. One is a master of illusions, the other possesses monstrous power. The big question is, who would win? The cloud or the mist? Mukuro's illusions are stronger than strong, but by the end of the series, Hibari can handle stuff like that. 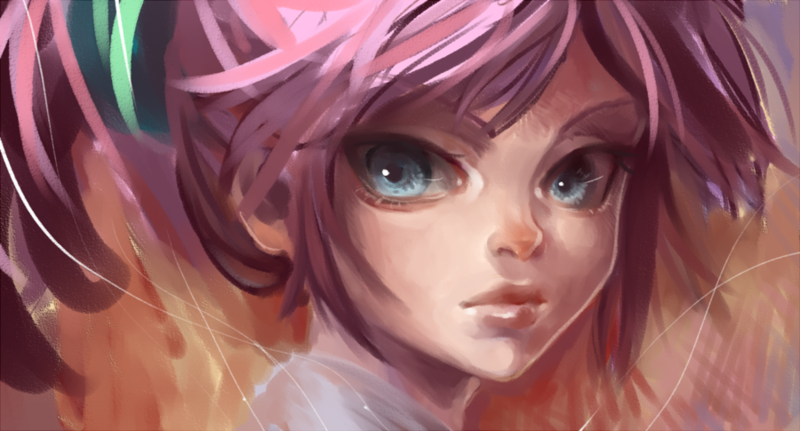 I wish that Amano didn't have Hibari and Mukuro finally fight in the last arc. Not only would that have been great fanservice, I am such a sucker for stuff like that, it would have finally settled this debate. Today I wanted to lay out the theory. But before that you need a little bit of an overview. Otherwise it isn't based on stats, but just on biased feelings, something that is all too present in the community. Kyoya Hibari (雲雀恭弥, Hibari Kyōya) is the leader of the Namimori Middle Disciplinary Committee, prefects who are in fact a group of delinquents that are all loyal to Hibari. Hibari's tonfas seem to be his main weapon for combat. Later it is revealed that they hold hidden compartments. The ends of the tonfas can release flails and the sides contain spikes and hooks. Hibari himself is a violent delinquent who uses his status to harass other students. As shown several times in the series, he prefers to be alone and cares little for his subordinates. He loves Namimori more than anything, and will often say "I'll bite you to death," or "kamikorosu," to those that disturb Namimori Middle School. Hibari is very proud of his school and is apparently the only person who even likes their school's anthem, even using it as his ringtone. In the Kokuyo Arc, he adopts the Kokuyo Assassin Birds' bird. The bird (subsequently nicknamed "Hibird" due to its connection to Hibari) becomes attached to Hibari. Hibird can also sing the school's anthem, taught by Hibari, who loves it. 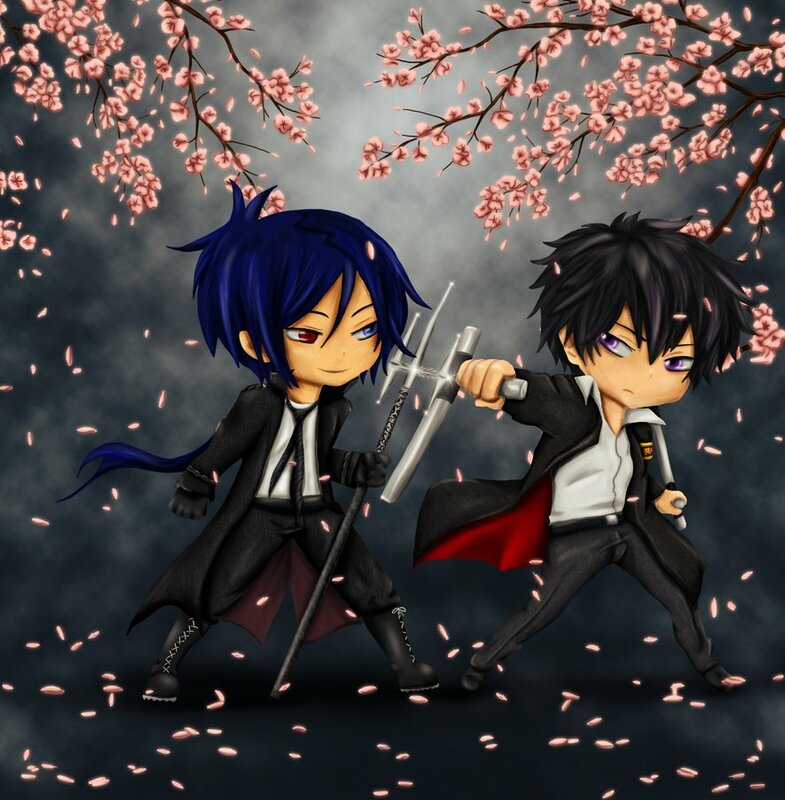 Reborn piqued Hibari's curiosity in the mafia early on in the series and Hibari considers him a worthy opponent, having a strong urge to fight him. 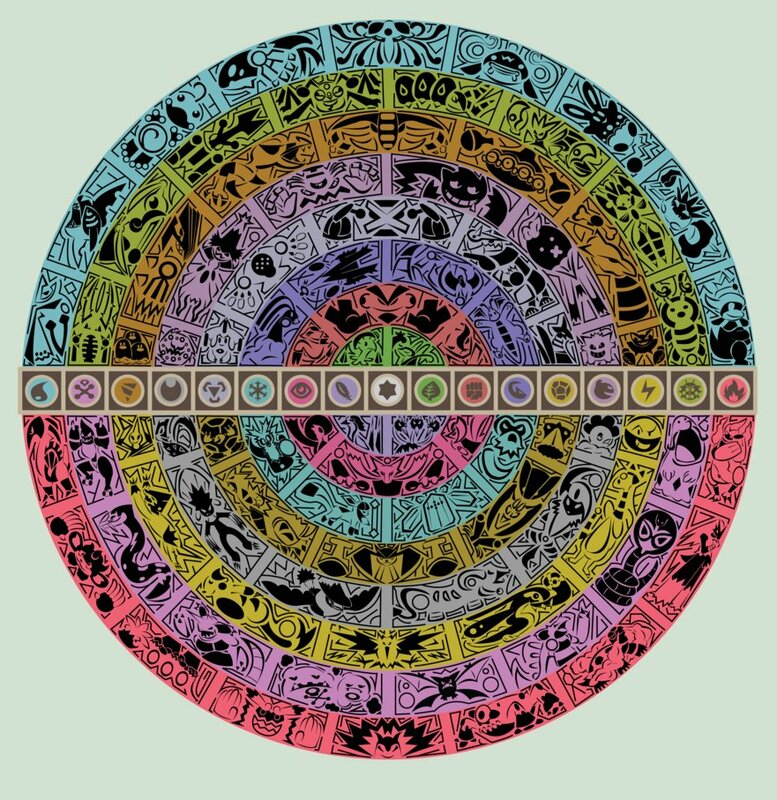 The numeral will correspond to the realm, appearing in his right eye. Later on, he becomes Tsuna's Mist Guardian. Portrayed as the series' first primary antagonist, Mukuro Rokudo is introduced as a 15-year-old (former) Mafia criminal and the leader of the Kokuyo Gang, which consists of heinous criminals who have recently escaped from an Italian prison. However, later on in the series, he takes on a more supportive role for the series' main characters, becoming somewhat of an ally rather than an enemy, though he prefers to not consider himself as one of their allies and avoids any involvement with the Mafia due to his past. In conclusion: Mukuro was the sole opponent that Hibari lost to and that is the very reason I think that Hibari would win. It's implied in the future arc during Hibari's battle with Genkishi that the reason Hibari is skilled against illusions is solely because of the grudge he's holding against Mukuro. Hibari hates Mukuro with every fiber of his being and has probably thought of a move or two to counter Mukuro, while Mukuro doesn't even see Hibari as worth his time. This could put the advantage in Hibari's corner and it might even be a deciding factor in this fight. People (myself included at time) want to give this to Mukuro just because his Vongola Gear is much more powerful than Hibari's. Being able to utilize all six paths of reincarnation at once. This is an extremely OP ability that I don't think Hibari would be able to counter. The 2011 Hunter x Hunter is underrated and I might add amazing. I find that this is a shame, so many people brush it off as just another shounen, yet the anime has so much more to offer. Seriously, the quality of animation, the music and of course the story is great, and they fit the series perfectly. The Heaven's Arena Arc, starting in episode 27 and going to 36. This is the shows the first departure from mainstream shounen. Here you have a drastic battle system change that is a bit of a breath of fresh air. It doesn't go full seinen until the Yorkshire Arc starting at episode 37 and continuing until episode 58. Granted, I do feel the first two arcs do have some merit to them, even if they are a bit lighthearted. The current arc is a really impressive feat of storytelling. The only thing that bugs me about it is that I feel like a lot of what could be more focus on dark themes are underscored until halfway through, around that point it starts to get a lot darker. This might have been an attempt to make the show more kid-friendly at first, I'm not sure, nor do I have a link to back it up. While it isn't my favorite it is a cool show and I can fully understand why someone would call it their favorite show. I have a new one for you today which I am working my way through. And I am doing something that I am not very good at, I am taking my time. I don't want the show to be over that fast. At first I was a bit sad that the series got a sequel, but that is only inevitable when the first one was so good. yeah, OP is just as great. I don't know how exactly to explain it but the first fells more cinematic and kinetic, this for some makes it better. 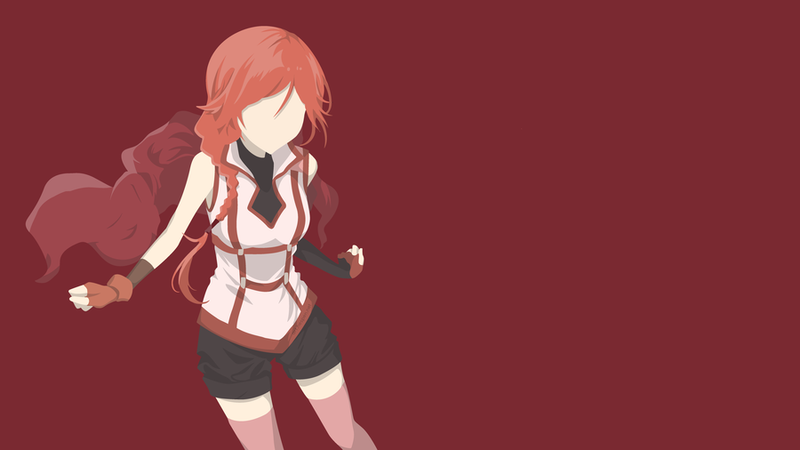 The second OP is a bit more chaotic, or maybe I would say that it is more hectic. Chaotic sounds like it doesn't have structure, but it does. And it is well build, but the story is just so much more, yeah, well chaotic. Not to mention that the Nano animation at 00:53 leaves me breathless every time that I see it. Grimgar, this is way underrated. Its one of the best fantasy anime since it takes a more realistic version of how it would be to awake in a fantasy world and has some really realistic fighting. The characters are (mostly ) earnest & endearing. And the art is gorgeous. And you will quickly see that character development is what the show is about though with how everyone deals with living in this brutal world. Grimgar also has some of the best music and art I've seen in an anime as well. The whole show looks like a watercolor painting. Of course it has some slight flaws with pacing and a bit of fan service but apart from that its just pretty much perfect in my eyes. It's a quirky slice of life comedy about the people who frequent Seaside, a maid café that's really a coffee shop. The shop is owned by a grouchy old woman and the local girls who work goof-around there as part timers. Made by the team behind Madoka and Bakemonogatari, it was one of the 5 or 6 shows SHAFT did in 2010, and got overshadowed by all the big Fall 2010 shows. 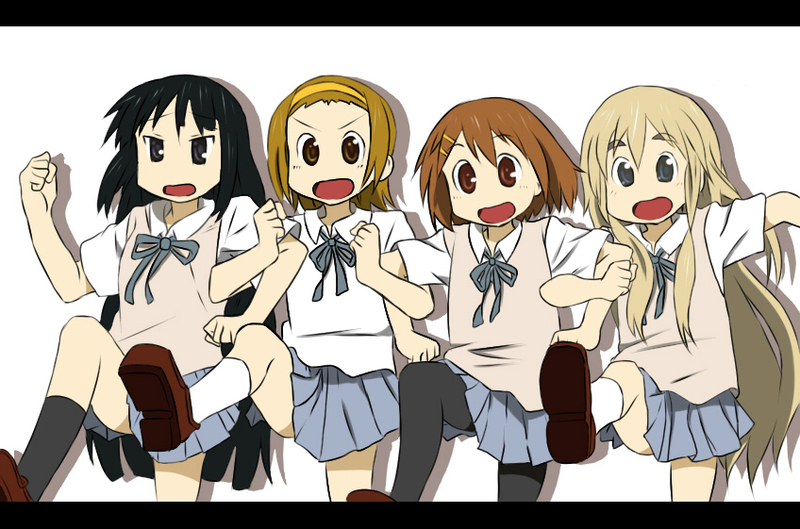 It even competed against another oddball-comedy show from the same studio that fall, Arakawa Under the Bridge II. It's got comedy, romance, music, it's got tragedy, and a lovable cast of misfits…no moe moe kyun here. I know that's not so underrated in that it is , it was kinda popular in its days, but right now it's almost dead so I am including it as one of the underrated nuggets. I know a lot of people that wanted to watch it, but they all were turned down by the same thing: first 20 episodes. I agree that some of the first 20 episodes are annoying/boring at times, not each and every episode all the way through mind you, but they are for comedy purposes first since the creator wanted to make a comedy anime, but later on the creator decided that the main character has potential and transformed it into an action one. So, my advice is to watch it, it's one of the best from zero to hero anime and a good comedy. If you can't stand watching the first 20 episodes then watch the first and the 19th epsode so you can basically understand the plot/characters. In this arc you are introduced to 2 things that are important to the KHR world. The Vongola Rings and the fact just how spoileriffic the Openings get with showing Chromein direct connection to Mukuro, in my opinion the Varia Arc is the best arc of the series. We learned a good bit more about the characters we grew to love during their training for the Ring Battles and the action in this arc was also some of the best during the entire series. Xanxus was an interesting "villain" with a cool backstory and motivation. His Varia group wasn't any less interesting either. With Squalo being probably the best of the bunch due to his weird sense of honor that still reflects what Yamamoto lives through very well. It was just kinda dumb how Chromes backstory was literally dropped on us the moment she got into her fight, but she does have a good backstory so I am not too mad. Belphagor was a good opponent for Gokudera, Lussuria probably the best fight Ryohei ever had. Mammon was a key part later on and obviously the best choice for an opponent that Chrome/Mukuro could face…in general the Varia are just a good foil to Tsuna and his friends which I really liked. 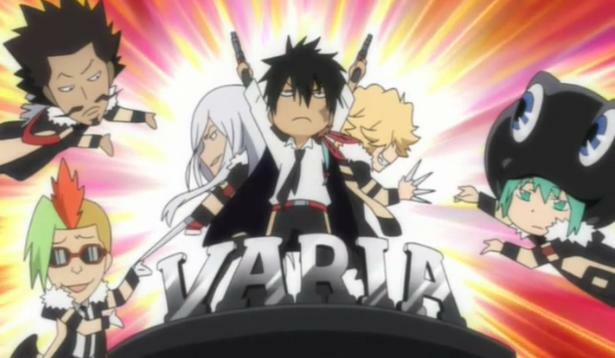 I was also very happy to see the Varia return later. Much Later in fact. 10 years later, and we have a segway into the next arc! If you feel like gambling, most Swamps only put in 140 EV's into speed (to Outspeed Scarf-Lando-T in Rain). So if you instead want to got Modest for more power in other situations, only put 148 into speed, and play for bulk with the rest. This build Will OHKO what it is designed to beat, but you will easily drain off any damage done to you if if it is faster or too bulky, where Swamps ice punch does the most damage. I simply put the leftover EVs in Special Defense after investing in speed and Special attack. This was a choice to get more worth out of the Assault Vest and greater effective returns from Giga Drain, but you can choose to put the 108 into HP instead, if you want physical bulk. Scald is pretty helpful for that also. 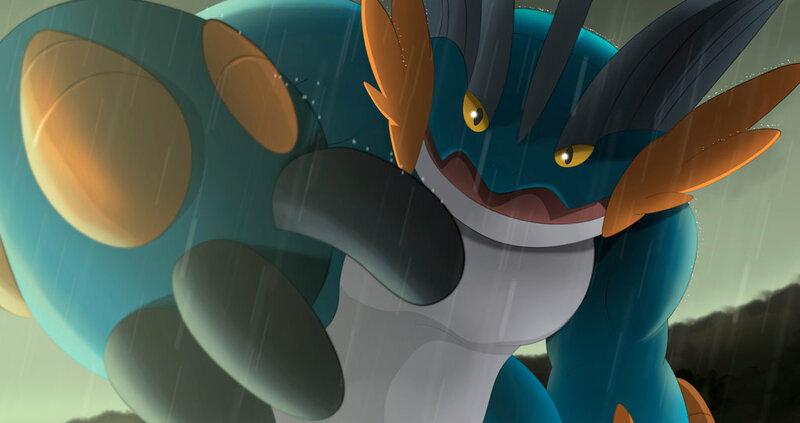 Mega Swampert in the Rain hits hard! It will likely heavily damage if not KO Ludi's partner if you can't bring it down. One typically has to protect the previous turn with whatever partner to safely switch in Ludi beside it, So the smart player will go for the exposed partner. Oddly, switching swamp on sight of Ludicolo isn't common in my experience with the scenario, they don't want to waste limited rain time I assume. So in theory, you could drop to only 220 EV's Special attack to allow for more defensive investment. This gives you 140 EVs to place defensively, Where I still recommend Special defense exclusively. In the end though, Giga draining proper targets for more damage really helps your bulk as well. Again, this is all for a Rain counter/Bulky Fake Out Ludicolo I built for a recent team. It also performs very well against the common bulky waters of the meta such as Milotic/Rotom-W/Jellicent/Suicune. This leads to a final spread of [0/0/0/220/140/148 Modest]. Slightly more bulky than the other set, but deals enough damage when it counts. I still run the [0/0/0/252/108/148 Modest] On my team though. The real main difference between Bewear and Furfrou is that Bewear hits a LOT harder and is more physically bulky due to much higher HP. I don't think anyone thinks Fluffy is better than Fur Coat. It's obvious Fur Coat is better. Furfrou is, however, a competitively useless character. After doing calculations, the only thing Furfrou can take better than Bewear are fire type moves and special moves, and even then, not that much better due to Bewear's much higher HP. Furfrou and Bewear are both bulky pokemon with no good recovery options. The difference is that Bewear can actually threaten things while Furfrou has to rest stall. Where Toxapex is a Wall. Bewear's HP outweighs the difference in Special Defense so much that Furfrou can only take special hits only a couple of decimal places better than Bewear. And due to how Pokémon rounds decimals they will generally be taking the same amount of damage specially. Furfrou only takes physical fire type moves about 5-ish percent better than Bewear usually. If the only thing Furfrou can take better physically is fire type moves, while Bewear takes EVERY other non-super effective type move MUCH better, and they take about the same from special moves, there's really no comparison on who has the better survivability. Bewear hits like a bulldozer while Furfrou has no real strength when it comes to actual play. Bewear packs Hammer Arm, Superpower, Return, Ice Punch, Earthquake, Thunder Punch, Payback and more. 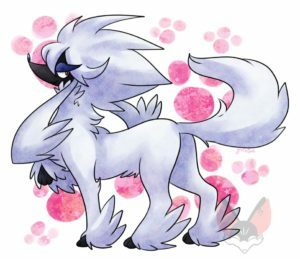 Furfrou gets considerably less attacks to work with that are weaker and provide less coverage. and many other OU Steel and Rock types that think it may even have the possibility of staying in safely. Bewear also cannot get walled by stalling Pokémon like Toxapex and Celesteela because it packs Taunt. Furfrou cannot learn Taunt. There is absolutely nothing superior about Furfrou to Bewear. 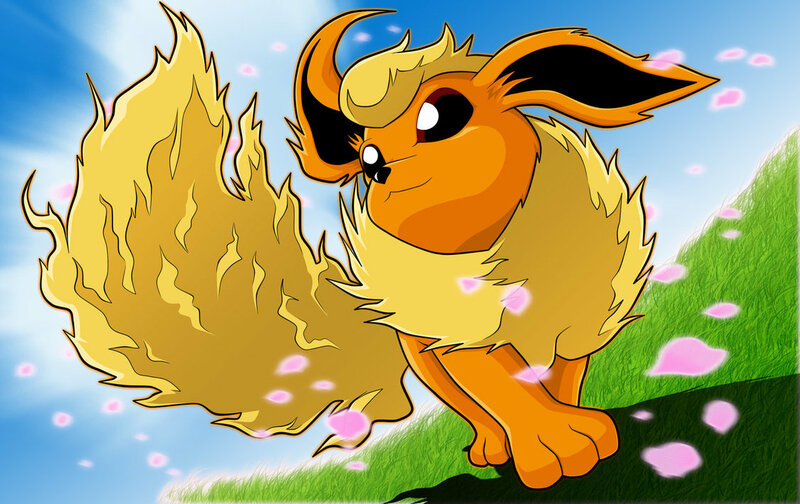 For every benefit that Fur Coat has over Fluffy, it is negated by Furfrou's terrible stats and terrible movepool. Bewear will always be selected more because it doesn't have the same weaknesses other Pokémon like Furfrou. Also, while I mentioned Toxapex this mon is not a synonym for Bewear, they are not interchangeable. We’re a group (me and my SO) of devoted anime fans that have joined forces to bring you a fun take on some of the most popular anime series you may or may not already know about. We also give you a fans insight on how to best view your favorite series. This includes cutting out the extra fluff and only watching the episodes that are canon. 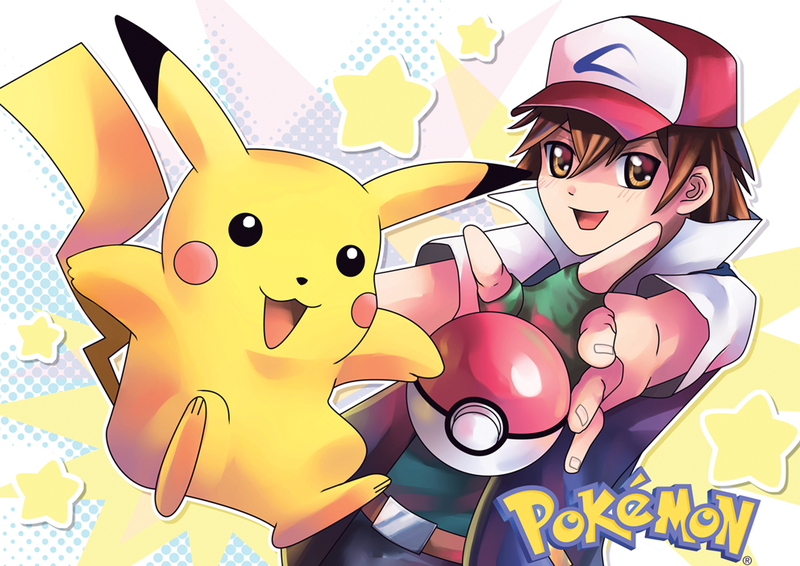 I’m also a hobby Pokémon trainer, though as anyone that has played the games knows, it is truly a rewarding experience.